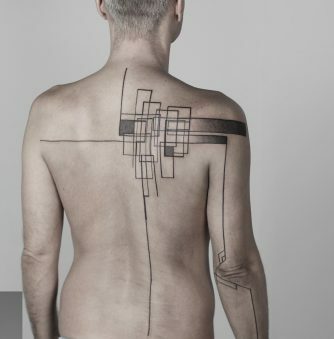 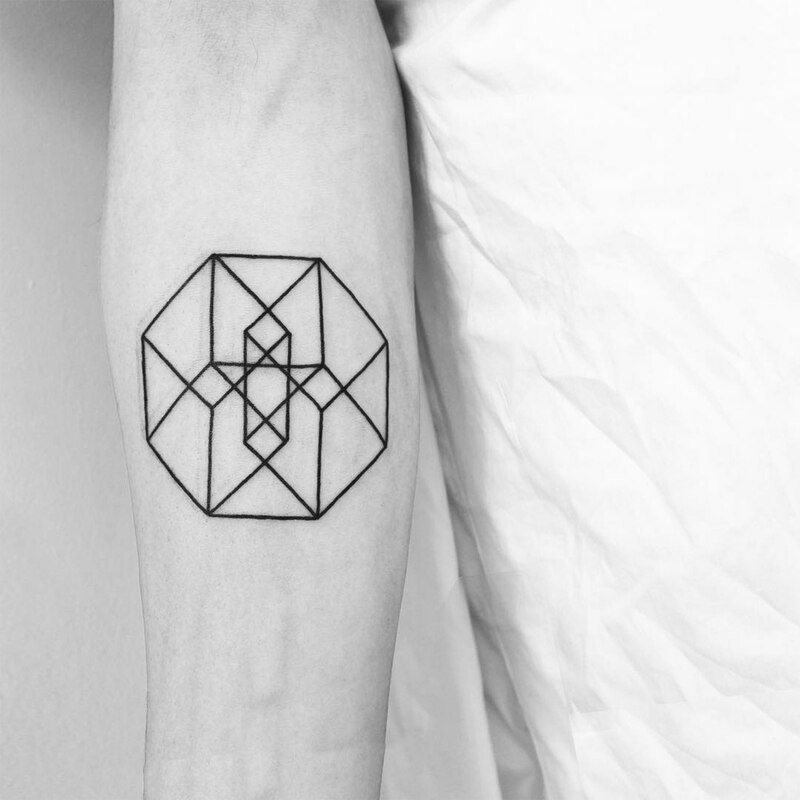 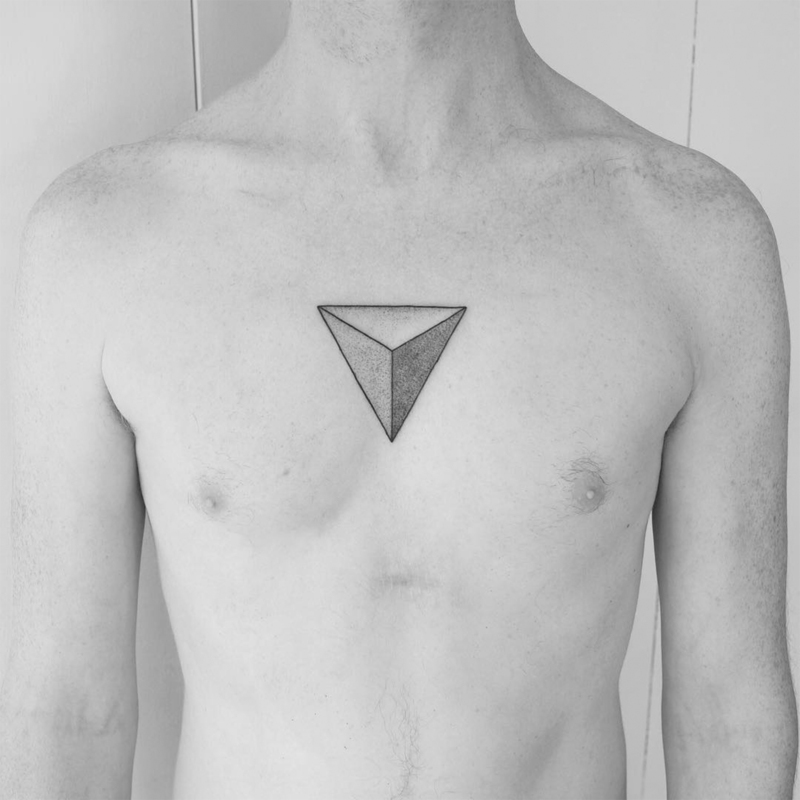 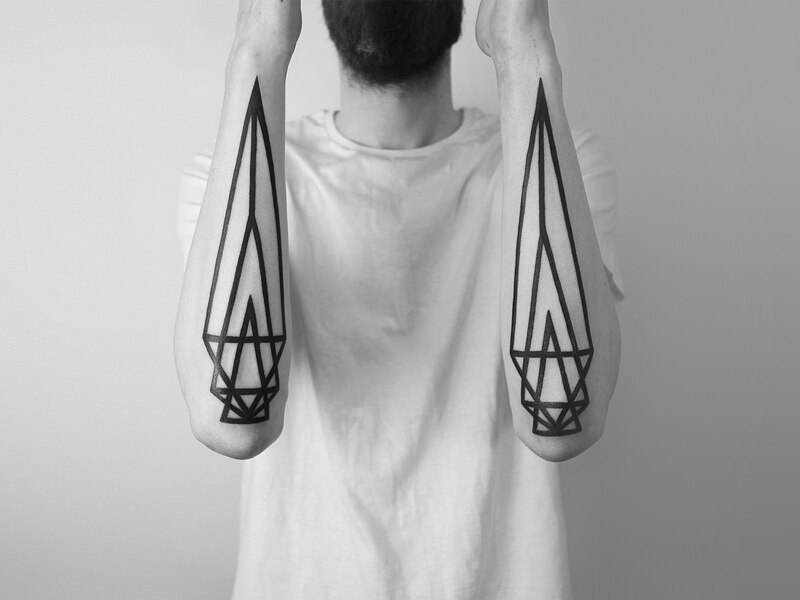 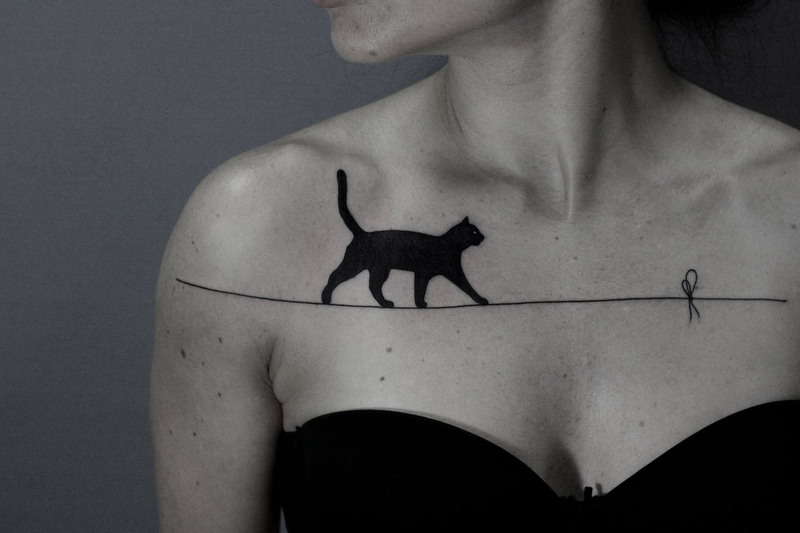 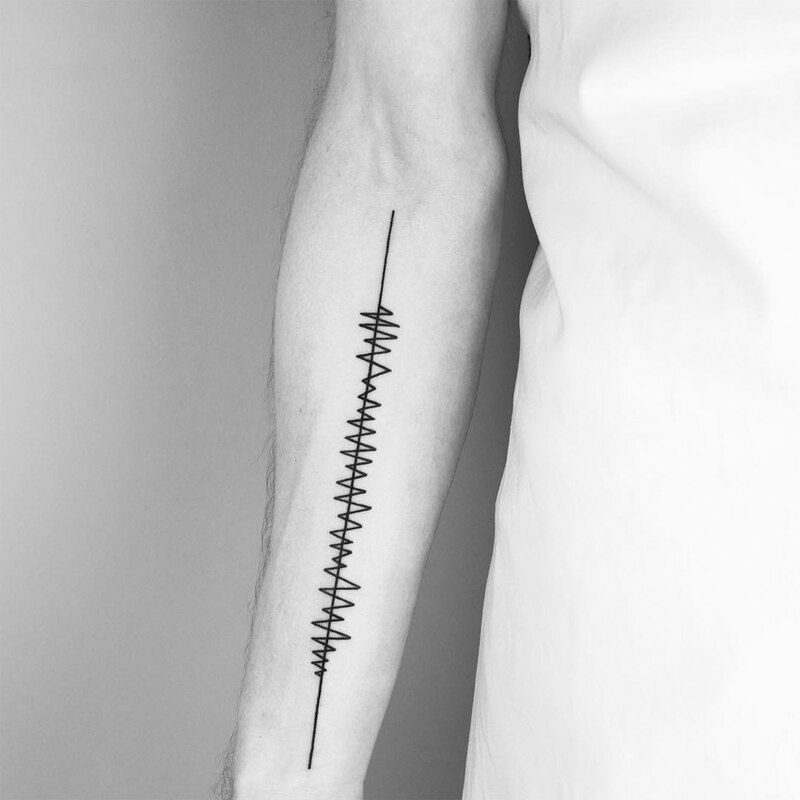 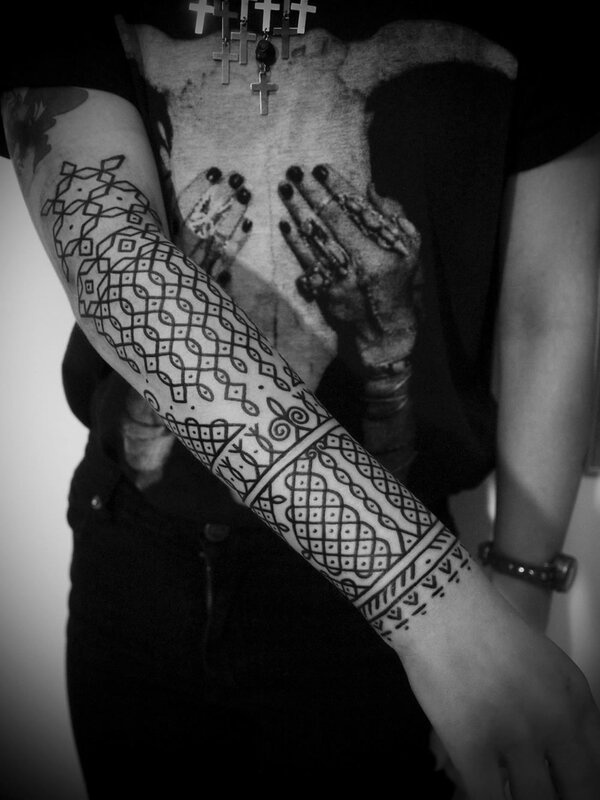 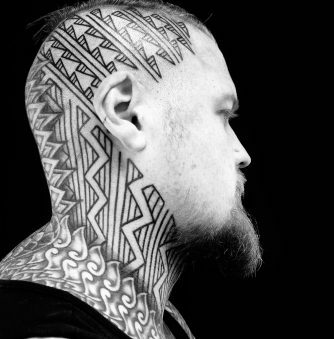 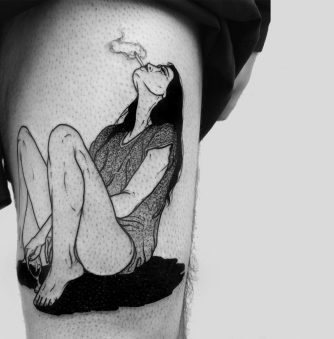 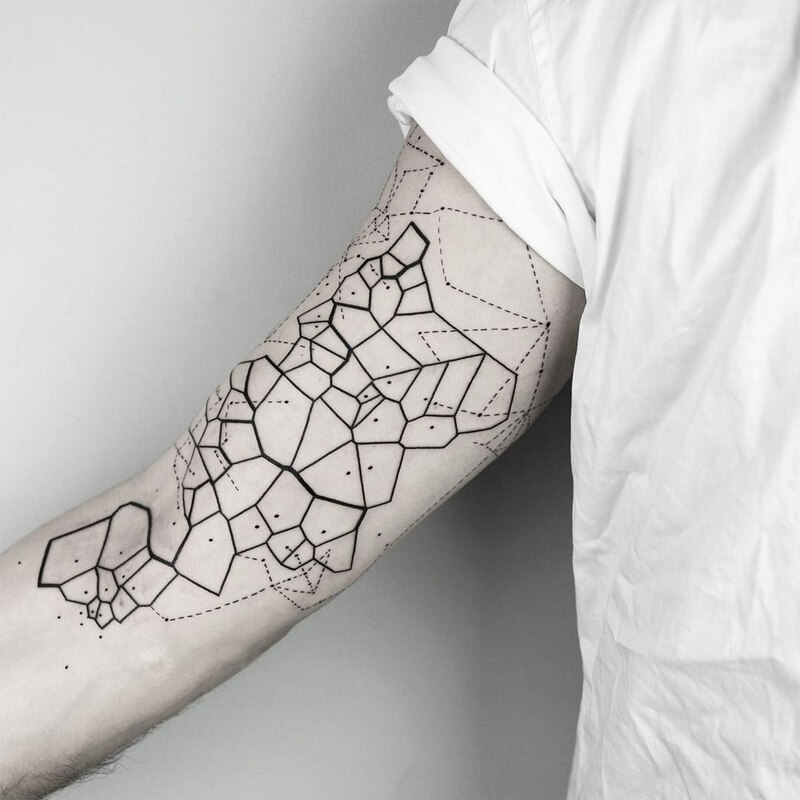 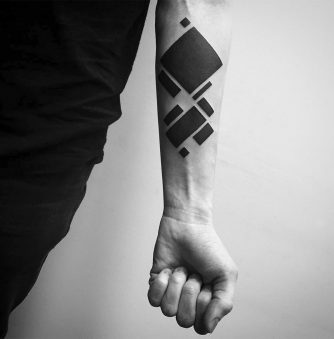 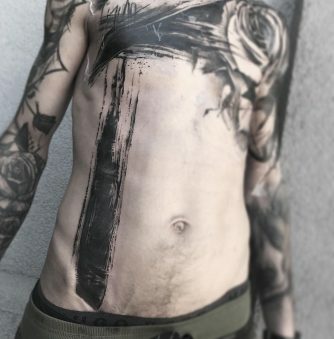 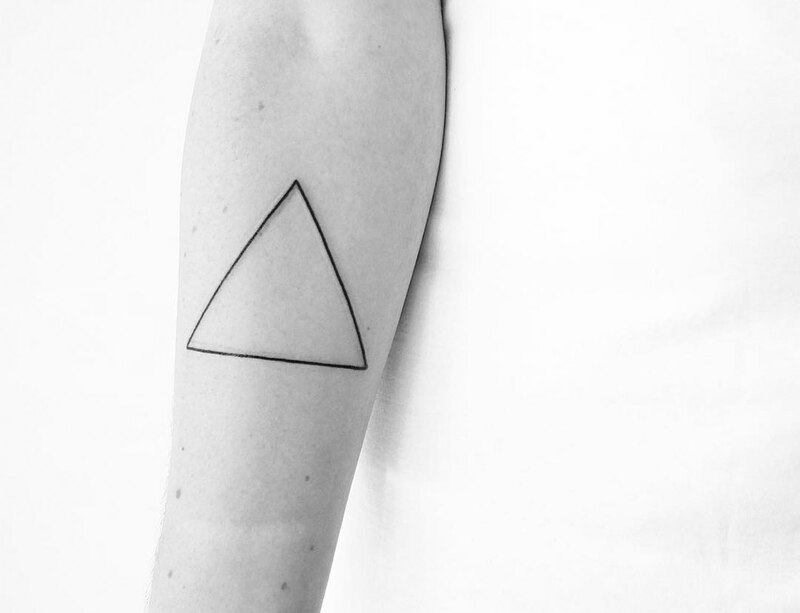 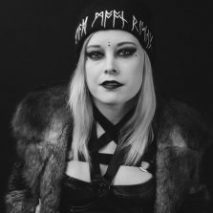 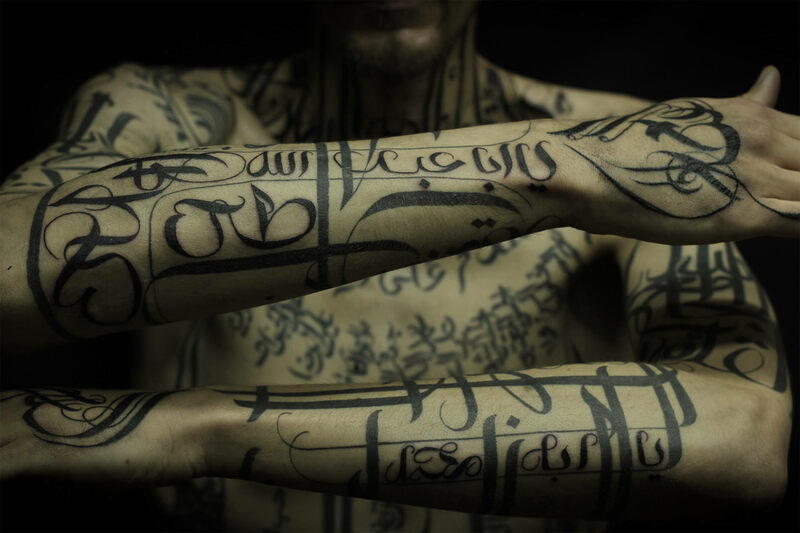 The tattoo artist Malvina Maria Wisniewska (Malwina8) is a master of minimalism and geometry. 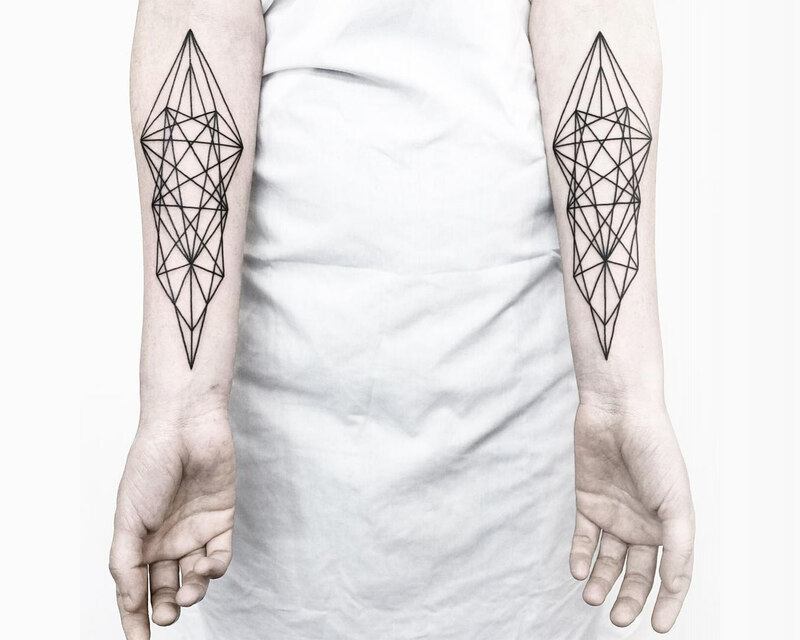 Using black ink, she creates flawless, razor-sharp lines that transform sections of the body into intersecting layers of triangles and diamonds, creating a three-dimensional look. 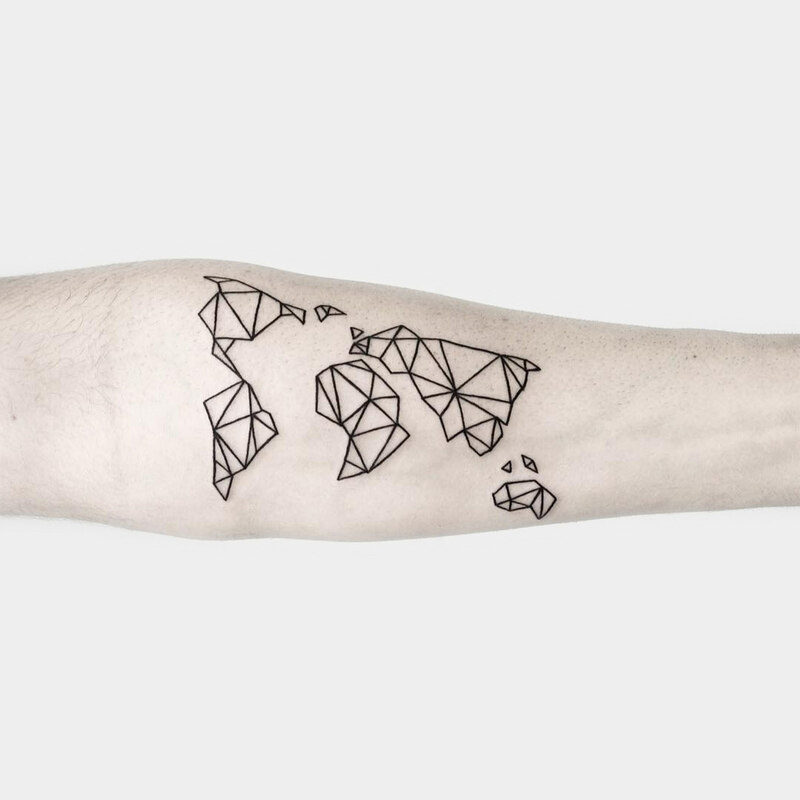 In some of her works, she applies the same geometric aesthetic to create abstractions of familiar images, such as the world map and sound waves. 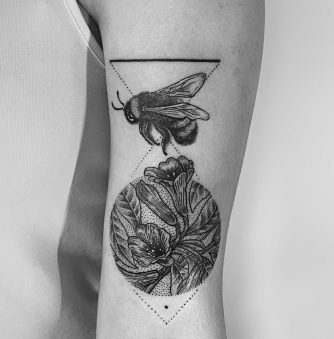 The pristine clarity of her line work reveals a steady hand and a keen eye for the power of symmetry; even a single, bold line across a rib cage accentuates the beauty and stability of the body.